FCA / Devotional: Assurance - How Do I Know If I Am Saved? How do I know if I am saved? That is a question of supreme importance and one that we probably take too lightly given its eternal significance. Has God’s Holy Spirit truly transformed me or am I just trying to reform myself? A person trying to reform himself will try to stop doing all the bad things they love and then try to do all the righteous things that they hate. That’s just religion and it cannot save us. All of that person’s “righteous” deeds would still be as filthy rags. Salvation is a supernatural work in which God the Holy Spirit transforms us into a new person. Men are born depraved and sinful and cannot truly change their own lives and make themselves good. Only God has the power to transform. Jesus says twice in Matthew 17:16 and 19 that “You will know them by their fruits.” Our nature determines the desires of our heart. If our nature is evil, the desires of our heart will be evil. When God transforms our nature, the desires of our heart will also be transformed from evil to good and it will demonstrated by the fruit in our lives. John 15:5 says that believers are branches grafted onto the vine that is Jesus Christ. A new branch may take some time before it can bear fruit, so new believers should not be frustrated when they do not see fruit right away. God may have to do a lot of pruning in the form of discipline before the branch can grow and before any fruit can show in a new believer’s life. This discipline is a test to see if we are truly a believer. Are you being disciplined by God? 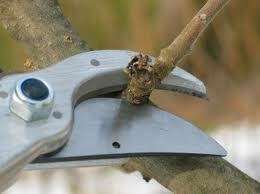 Is God pruning you and cutting you back as a gardener does his plants? God loved Jacob, but hated Esau. Esau became wealthy and he became a leader of many tribes. Jacob, on the other hand, was disciplined by God. He was corrected by God, just as a father corrects his child so that he or she will learn to do what’s right. Being a Christian doesn’t mean that we won’t still struggle with sin and our sinful flesh that is still a part of us. A Christian will sin and can even fall into bad sin, but a Christian will not continue in that sin as a lifestyle. Fruits are about someone’s lifestyle, not one moment in time. You might see a true Christian one day doing something stupid and sin, but if you followed him around for a month, you would see his or her true lifestyle. The Christian lifestyle is about attempting to know God more and wanting to conform to what God wants us to be. And over time, we will be more conformed to His character and His will as God sanctifies us and makes us holy. A Christian will sin and even fall into bad sin, but a Christian will not continue in that sin as a lifestyle. A Christian will have setbacks, but will grow over time. It is not just that on the day I was saved that my life was changed; my life was changed and still continues to change. There must be an awareness that you have changed, even in a new believer. 2 Corinthians 13:5 says we are to “Examine yourselves to see if you are in the faith.” It is a healthy thing for a Christian to do and we must continually do this. Those who are true Christians will examine themselves and see how they don’t measure up to God’s Word. This will cause them to recognize their own shortcomings and continually repent. However, people who don’t see their sin and think that they are good show that they are not Christians because they were never converted in the first place. A Christian has a new relationship with sin. Before, he loved sin. Now, he hates it. Sin now convicts you to repent of it and not continue in it. Repentance is brokenness over sin and a desire for obedience. One of the greatest evidences of conversion is not perfectionism, but brokenness. One of the greatest evidences of conversion is not perfectionism, but brokenness. “Am I broken enough over my sin?” is a question I ask myself. When I mess up and ask God’s forgiveness I sometimes wonder if I am broken over my sin or if I am just paying lip service and praying the prayer so I can get forgiveness. We must examine ourselves and our motives. Being broken means that you are most concerned with your relationship with God; paying lip service means that I just want to get into heaven. Christians will sin and struggle with sin at times. Paul had the most dramatic transformation of anyone in the Bible when Jesus came to him at the road to Damascus, but even he was frustrated with the sinful nature of his flesh. “I do not understand the things I do. For what I hate to do, I do.” We can take comfort in that Paul struggled like we do with sin. A love for other believers and a desire to be with them is evidence of being a Christian. We are not to love this world. The world is everything that contradicts Christ and His teaching and makes Christ’s teachings burdensome or oppressive to us. We must choose to keep away from all things and all people and any kind of entertainment or activities that we know will make God’s Word seem burdensome or oppressive to us. The message we heard can give us assurance…or not. If all you heard was, “God’s got a wonderful plan for your life,” or come “have your best life now,” then you have cause for concern and self-examination. If you heard a series of questions skillfully designed to lead you into a decision, then you have cause for concern and self-examination. It is impossible for spiritually dead men to make a “decision” anyways. Jesus isn’t some little, weak person begging you to make a decision so He can come into your heart. Know instead that the Creator of the universe commands men to “repent and believe in the gospel” (Mark 1:14-15) in order to be saved. Mark 4:16-17 says, “In a similar way these are the ones on whom seed was sown on the rocky places, who, when they hear the word, immediately receive it with joy; and they have no firm root in themselves, but are only temporary; then, when affliction or persecution arises because of the word, immediately they fall away. If you receive the message with joy and not brokenness, you will fall away and not persevere because you were never saved in the first place. Too many people, instead of salvation, have an emotional experience (read about two examples—one one of them my own—here). If you hear the message of the Gospel and understand who God is, who you are, and how unworthy we are of all that God did, then you can have assurance. Only the true Gospel message that leads to brokenness and repentance can save you. We can have assurance in the fact that Jesus paid the full penalty for our sin and that God’s justice was satisfied. Bonar said, “This is faith rising into assurance while simply continuing to behold its glorious object.” Our glorious object is Christ and we have assurance that Jesus paid it all through the message of the Gospel of Jesus Christ.